Linux Jedis or anything. You can find all the information you need to get started here. Please note that we especially need testers for PPC chips and Intel Macs. We have a special section discussing it here. In particular, if you have an Intel Mac, I have a few questions for you that might help us trim down the workload of the testing team. Also, if you have a PPC chip, we’re about the only distro actively supporting this architecture. However, we are community supported, so without formal testing, the arch will lose more support. So please, join in testing! I’d like to start with addressing some of the issues with running this type of contest. We try to communicate the rules for this contest as clearly as possible, for example, you cannot even join the Flickr group without accepting the rules. However, we cannot force people to read terms and conditions, so we try to warn contestants if they aren’t following the rules in order for them to correct their submission before deadline. Unfortunately we cannot force people to read their emails either, so we always have a few popular submissions that get disqualified. This contest was no different, we’ve had a few problems with wallpaper sizes and of course — licensing issues. I would also like to thank our friend Guillaume at Picompete for helping us host this contest. He’s been helping us for years now, and we really appreciate everything he’s done for us. It’s a trustworthy service that we really recommend if you wish to host similar contests like this. Guillaume is also a big fan of open source and Linux, and he has offered to help other distributions if they ever need to host a poll. Cast your vote by choosing 5 wallpapers that you’d like to see in Lubuntu 14.10. As we are a bit short on time this time around, we will have to close the poll on the 10th of September. Please feel free to share the word and good luck to all contestants! trying out in preparation for our next version (with 3.16.0-11 Ubuntu Linux kernel). Remember that this is an early beta pre-release, so don’t use it on daily production computers. We’d like you to join us for testing, especially if you have a PPC machine. We didn’t have PPC testers this release, do there is no PPC release. Read the release notes before getting the disc images, and contact us with feedback. 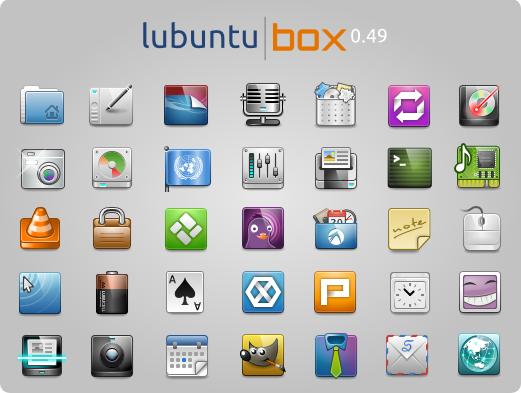 It’s that time of year when Lubuntu asks the community to contribute an artistic touch to the distribution. We know… We’re late… But here we go again! Please feel free to join us at Flickr and upload your favourite creation, that’s right, one submission per user this time. Submissions are accepted until 4th September 23:59:59 UTC+01:00, and the polls will open shortly after that. 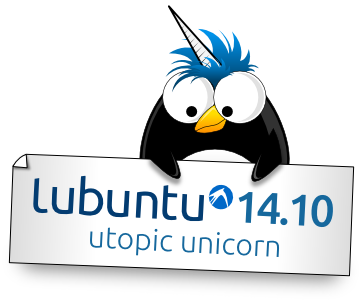 The polls will be open until 9th September, and the top five wallpapers will be included by default in Lubuntu Utopic Unicorn. Please make sure to follow the rules, as failing to do so will get you disqualified. Again, sorry for the late announcement. We actually had another concept in mind for this release, but unfortunately it will have to wait. Good luck to all contestants and please help us spread the word :). Only standard PC images, due to the lack of testers, Lubuntu won’t drop Mac ISOs, we need more time and machines for testing. More info and download here. You can get it here, and read the release notes here. It’s that time again: time to officially start testing for this cycle. Alpha 1 is set to be released Thursday, so we need to test over the next couple days. You can see the rest of the schedule for the cycle here, by the way. All images are available at QA. If you’re not familiar with testing, it’s an easy process and a simple way to get involved. More information is in the Testing area. Testers needed!